JEMP teamed up with the Polish Arts Festival to curate a one-day event celebrating jazz and experimental music made by Polish artists currently resident in the UK. The multifarious performances of variant forms and styles covered a plethora of music genres; these included jazz, electronic, contemporary and improvised acts - all these genres were deployed as musical instantiations of a common theme – the sea. 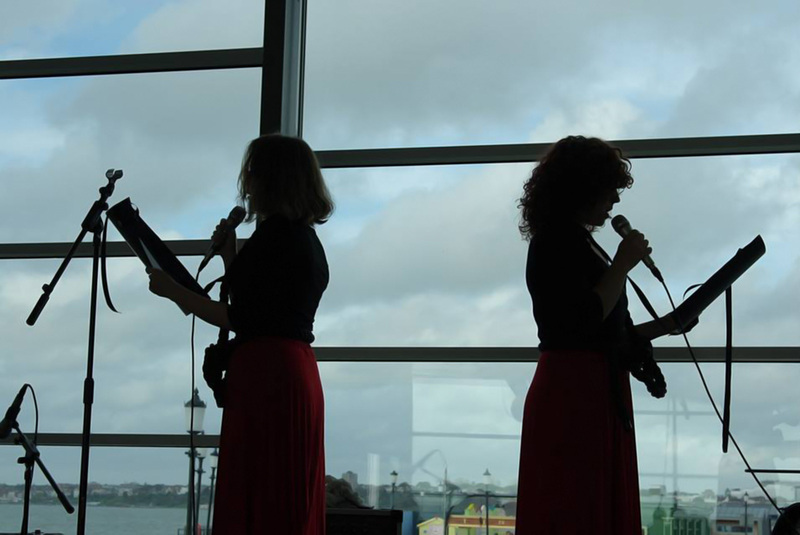 With the performances taking place over 2km out into the sea - at the end of the longest pier in the world, Southend Pier - musicians were encouraged to convey and observe the alternatingly hypnotic and terrifying force of the ocean’s expanse, honouring both the succour it gives us and the vulnerability it can expose us to. We presented several emerging artists who employ interdisciplinary, innovative approaches to music making and sound-based practice. “We [have] learned (…) how to navigate the sea, however the sea maintained its freedom. We created artificial borders between the nations’ sea-waters but the sea takes over and does not pay much respect to cartography. The sound like the sea unites through waves." ‘A Figment of the Wave’ brought the freedom of the sea and its intrinsic link with the qualities of sound into musical and literary life. The project thus consisted of an audio composition and several sea narratives and marine-orientated poems. The stories were told and read out aloud by two performers over the course of the evening. With classical 18th and 19th Century orchestral pieces forming the actual musical content, including pianissimo pieces using a single instrument and full orchestra fortissimos, the audience became raptured in a hypnotic, tense and nostalgic soundscape, fusing the crackles of old vinyl with the ebb and lull of the sea. 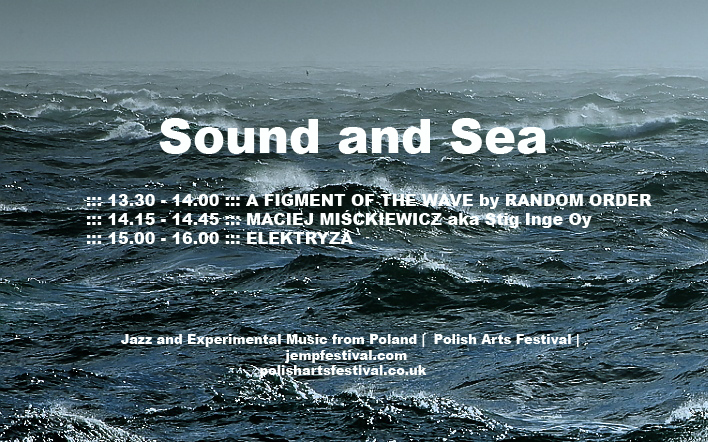 Elektryza improvised on the creation of a soundscape, drawing from the fields of avant-garde collectives and collaborative free jazz, creating both tension and tender to mirror the chaos and/or gentleness of the sea. Formed in early 2013 in the sheltered cubby of a London-based art dungeon, the release of energy via sounds and musical structures is intended as a synthetic manifestation of the primeval nature of the sea. 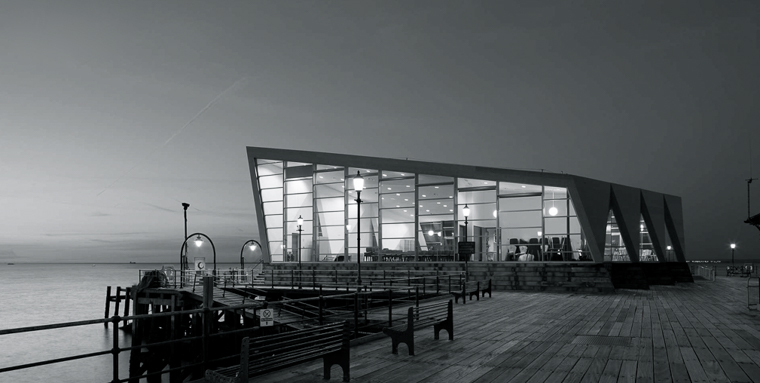 On the pier at Southend-on-Sea, the group were confronted by the expanse of the water and air around them, visually pierced by the light of the sky and conscious of the depth of the sea below them. This repositioning of the group, away from commonly identifiable and spatially contained objects, was intended to unlock a deepened susceptibility to artistic expression and interpretation, since the attendants were in a sense “released” from the confines of urban and otherwise civilised lands.